LANGTANG, Oct 29: Many inhabitants of Langtang village at the base of Mt Langtang lost their lives when the catastrophic earthquake struck the country last April. The village was in grief in the initial six months. But now, the village is rising from the rubbles, thanks to the tireless efforts of the locals who have been busy restoring various old structures. 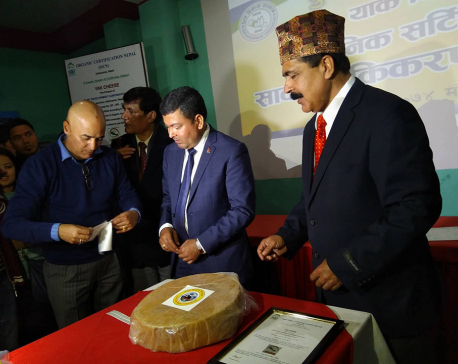 Among other things, the locals have been successful in resuming production of Nepal's oldest cheese factory, Langtang Cheese Production Center, which had remained closed since the earthquake. The center adopted a unique community-based approach to resume its production. Earlier, the center used to produce around 8,000 kg cheese every year, Tamang said. “Now the production capacity has decreased and we can produce only 1700 kg cheese in a year due to decrease in the numbers of animal farmers,” he said. The number of farmers has significantly reduced and the cheese production center cannot continue the production if more farmers are not attracted toward yak husbandry. Locals of Langtang are now attracted toward hotel business than cow farming, according to Tamang. The locals were displaced after the earthquake fearing landslides and more destruction. Many yaks died after being buried under the rubbles. As a result, farmers stopped yak farming, Nerup Chhiring Tamang, a local of Langtang, said. 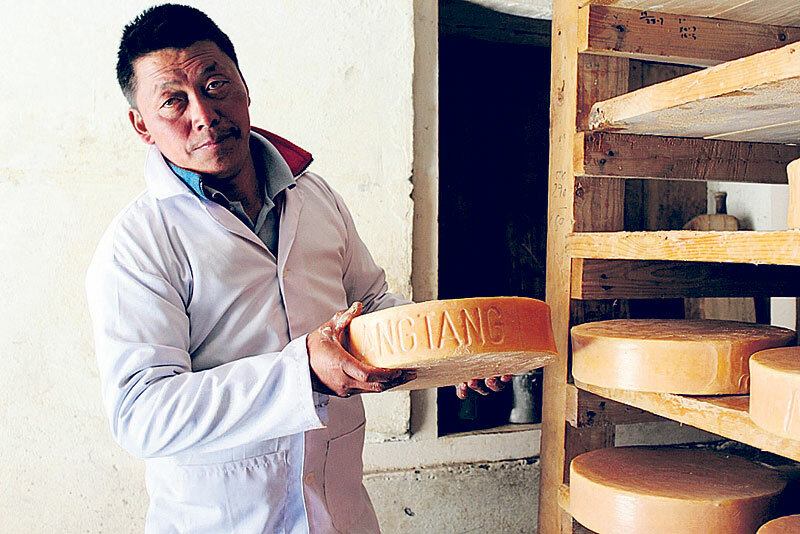 The cheese production center was established in Langtang some 70 years ago on the initiative of Toni Hagen, a Swiss geologist who observed herds of yaks in the village back in 1954. 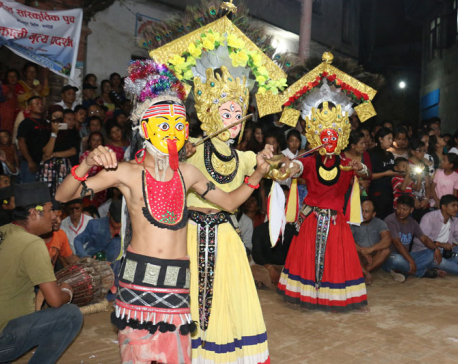 The center was established by his group and some Nepali experts. The center exports cheese of Bimro breed of Yak to Europe, Japan and America too. Generally, the center produces cheese from April to October. The cheese production process stops in other months due to excessive cold, according to the center. Tourists who visit Langtang also enjoy locally produced cheese, Tamang told Republica.